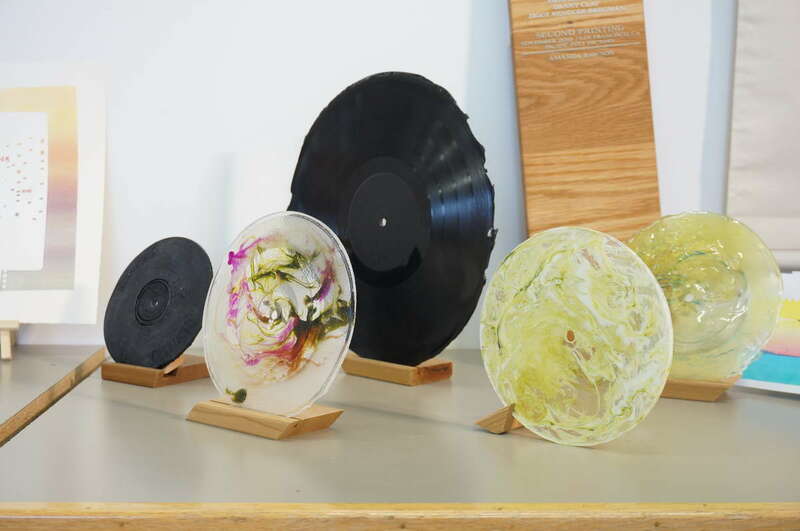 Printmaker Jon Fischer and composer Danny Clay present an afternoon of interactive installations and performance pieces centered around custom-made turntables and original, fabricated records. Installation/reception will begin at 5pm, with performances featuring Mana Trio beginning at 7pm. Turntable Drawings is a series examining the intersection of physical imprint, sound, and the geography of California through the medium of records. Works in this series have included elements of printmaking, interactive installation, custom-made turntables and records, film, and live performance. Prior to and following each performance, visitors will be invited to play and examine a collection of over 50 handmade records created for this project.